Melinda is a Crew Chief and Fire specialist at SERVPRO of Southwest Portland. She has over a decade of experience in the restoration industry and has numerous certifications from the IICRC. Her Skills have proven you don't know clean until you've seen what she can do. Todd Hyatt serves as both Marketing Assistant and Production Technician here at SERVPRO of SW Portland. He has several years of experience in the marketing field! He is an amazing asset to the team with a great personality! On his spare time, he likes to spend quality time with his family & goes to his kids sporting events! Dawn is a Marketing Manager at SERVPRO of Southwest Portland. She is IICRC certified for water damage soon to be IICRC certified for Fire. Her hobbies include reading, skiing, and spending quality time with her grandchildren. Dawn came from the yellowpage industry after almost 20 years in the business. 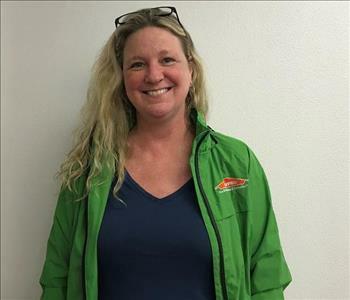 Ellie, Job Coordinator and Office Administrator, is often the first introduction to SERVPRO of Southwest Portland that our business partners and home owners experience. You are in excellent hands, as Ellie is phenomenally conscientious and thorough – she’ll get to the bottom of things and make sure you receive the highest level of service throughout the remediation process – all delivered with friendliness, wit and charm. Outside of the office, Ellie frequents Portland’s beloved trails donned in her very bright green rain jacket. Even more, if she’s not hiking the trails, she’s committed to keeping them healthy with volunteer cleaning and replanting work. Jose, Production Technician, feels his most important role on the team is delivering quality service that reflects as relieved and happy customer faces. He joined the team with a background in residential construction, where he effectively led a crew while working closely with homeowners. If he’s not busy in the warehouse or cleaning room, you can find Jose working hard alongside the production team on site. When Jose isn’t at work, more than likely he’s enjoying family time on the shores of the Willamette River or grooving at one of the many vibrant Portland dance clubs. Humberto, Production Technician, feels his most important role on the team is delivering quality service that reflects as relieved and happy customer faces. He joined the team with a background in residential construction, where he effectively led a crew while working closely with homeowners. If he’s not busy in the warehouse or cleaning room, you can find Humberto working hard alongside the production team on site. 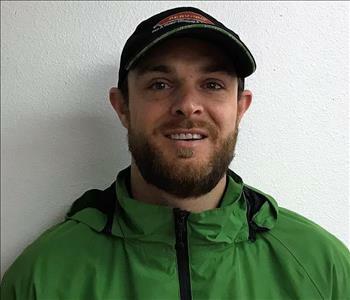 Daniel Spark is the General Manager of SERVPRO of Southwest Portland. He has five years of experience in the restoration industry and was a Marine Engineer on private yachts all around the world for 6 years. 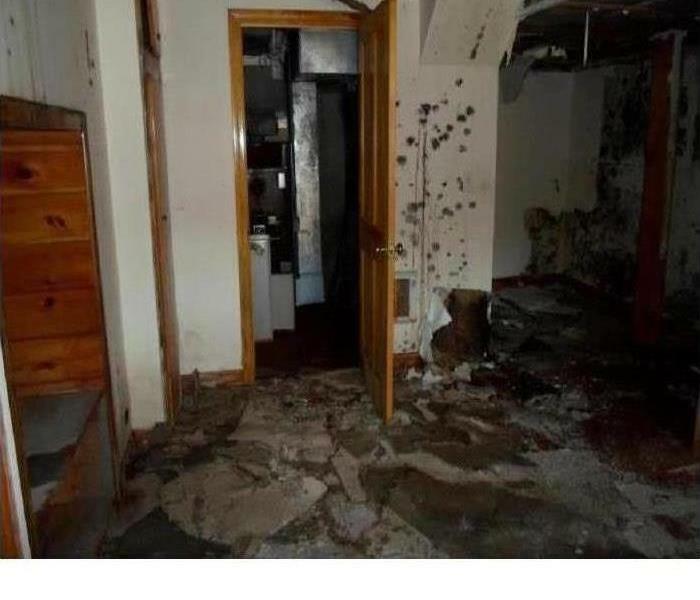 He possesses Applied Structural Drying, Biohazard Remediation, Mold Remediation, and OSHA certifications from the IICRC. Daniel has also received many certifications outside of the restoration industry, including as an Asbestos Surveyor. 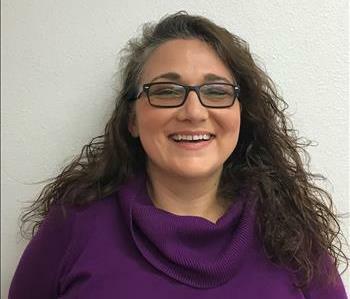 Rebekah is the Job File Coordinator at the SERVPRO SW Portland office. She acts as the liaison between the production team and the insurance companies. She has experience in the legal and insurance industries. In her off time, she spends most of her time taking road trips, camping, working on her photography, and listening to live music. 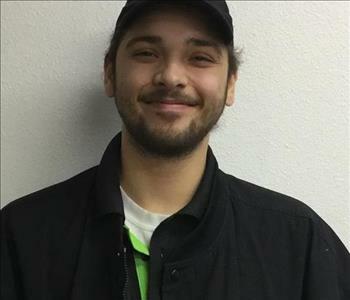 Dillion is a production technician with SERVPRO of Southwest Portland. He loves working with people and is always happy to help when needed. He likes to work on his car and take long car trips. He also likes to hunt and fish in his spare time. Ginny is our newest office administrator she comes to us with 7 years office manager experience with a degree in accounting. Ginny likes spending time with family and friends in her off time. She also enjoys gardening and walking her dog Bronson. 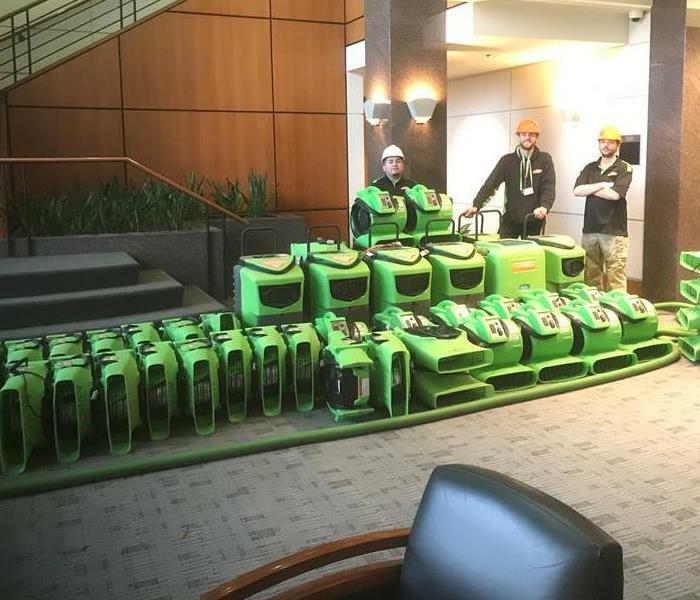 We really enjoy the enthusiasm that she shows in learning about SERVPRO.